This section displays the Tapejara's natural colors and regions. 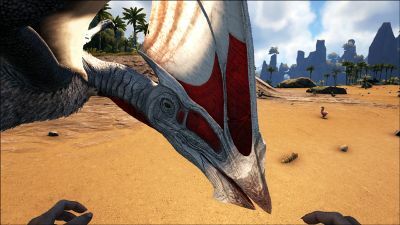 For demonstration, the regions below are colored red over an albino Tapejara. 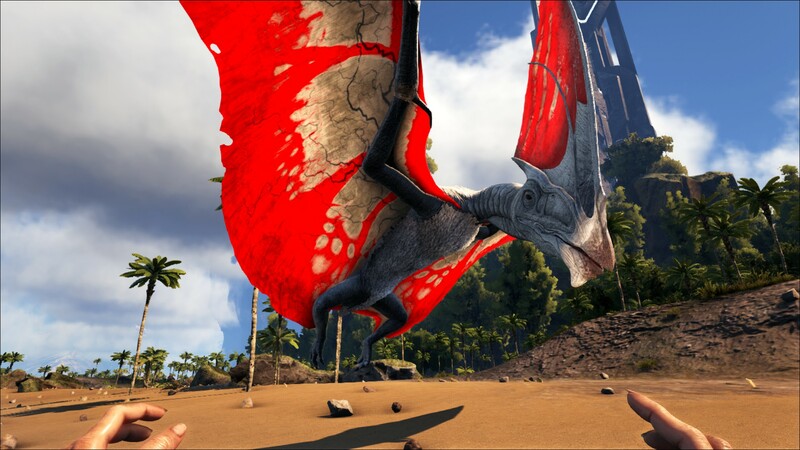 The colored squares shown underneath each region's description are the colors that the Tapejara will randomly spawn with to provide an overall range of its natural color scheme. Hover your cursor over a color to display its name and ID. For example, "cheat SetTargetDinoColor 0 6" would color the Tapejara's "body" magenta. Another, much easier alternative is to use the above method however on a pteranodon while consuming Rare Flower. This applies the same effect as the pachyrhinosaurus strategy, however is much easier and less clunky. You should then be easily able to lure it into a suitable cage and knock it out without the trouble of it running away or getting eaten by wild predators, assuming you have enough flowers that is. 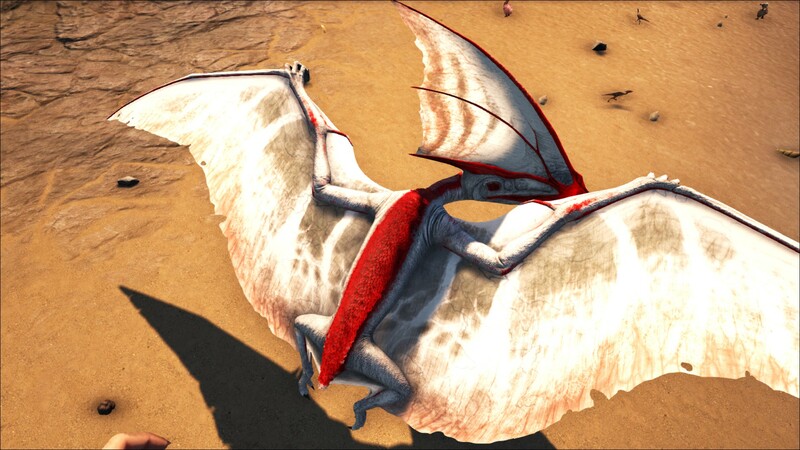 The dossier claims that the Tapejara can be equipped with a dual rider saddle, when Ingame the saddle can hold three players. This is allegedly because the two rider saddle 'looked stupid' according to the Devs. Tapejara's species name, imperator, is shared in real-life with Tupandactylus, a pterosaur closely related to Tapejara that was originally classified as a species of said genus. 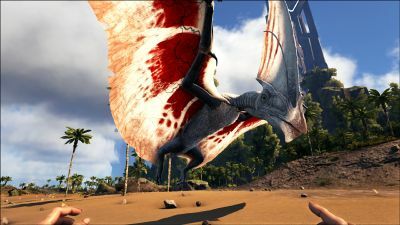 Most reconstructions of Tapejara, including ARK's, are actually based on Tupandactylus. This page was last edited on 31 March 2019, at 22:36.